Good price with free delivery. £2 cheaper than the next best price I think. 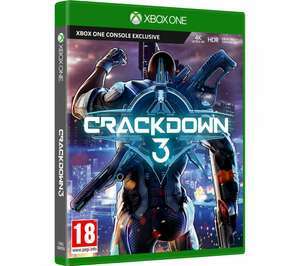 Set ten years after the events of Crackdown 2, Crackdown 3 is a new adventure that takes you to the city of New Providence – run by the sinister TerraNova Worldwide. As a super-powered member of The Agency, it's up to you to save New Providence. 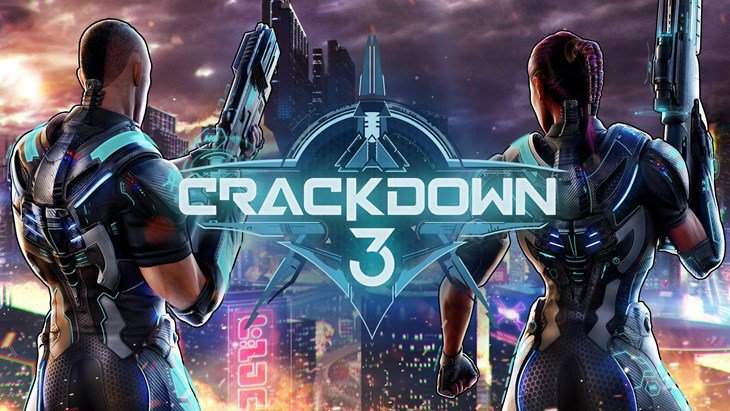 Led by Commander Jaxon (who you might recognise is based on Terry Crews) you will explore a dangerous open world, where every interaction lets you level up in new ways. Known as Skills for Thrills, you're rewarded for different types of kills, which lets you level up your core skills – agility, firearms, strength, explosives and driving. Play alone, go co-op with a friend, or play with your whole group online – the choice is yours. And if you really want to mix things up – why not explore the Wrecking Zone? It's a multiplayer competition where literally everything around you can be destroyed. That’s because the only thing good about it is Terry Crews. I’m sure fans of Crackdown love it, but if you’re not already a fan I don’t think you’re going to enjoy this. It feels like a game that’s been in development for a long time, which it is of course. When I was playing it the first impression I got was that this game feels like its aged badly and shouldn’t feel that way on day 1. I recently finished it and found it to be a good game with some dated gameplay mechanics. As Rebellion said, if you're a fan you will get a lot out of it. I got it with Game Pass and it took me about 3 weeks on and off, roughly 16 hours and a lot of that time was orb hunting. The main story you could smash out in 8 if you are caning it so not a huge game if that's what you're in it for. This game is also on Xbox Game pass. You can buy a 1 month membership for 7.99 and download it for a month. Ita not a bad game. Just a bit repetitive. This game is also on Xbox Game pass. You can buy a 1 month membership for …This game is also on Xbox Game pass. You can buy a 1 month membership for 7.99 and download it for a month. Ita not a bad game. Just a bit repetitive.